F1 championship leader Valtteri Bottas feels strengthened following his “perfect start” to 2019. Formula 1 championship leader Valtteri Bottas says he has taken strength from his “perfect start” to the 2019 season. 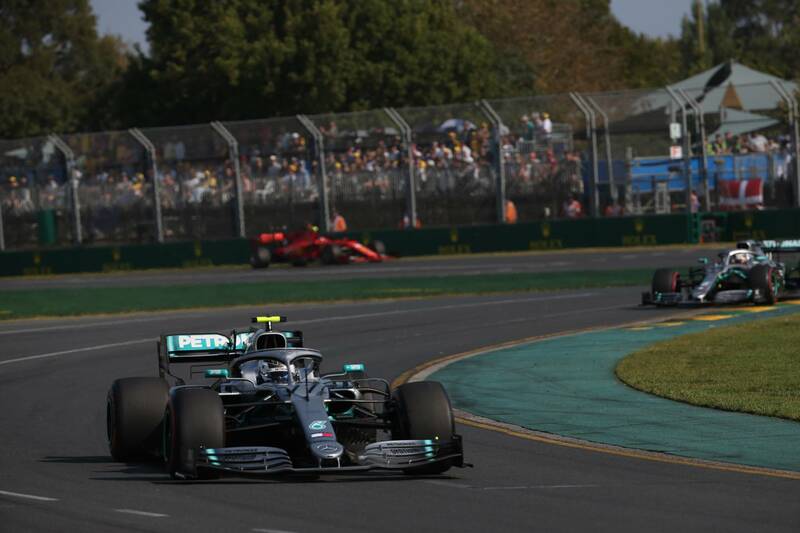 The Mercedes driver dominated the season-opening Australian Grand Prix to finish 20 seconds clear of reigning world champion Lewis Hamilton, having overtaken his teammate at the start. It marked Bottas’ first victory since the 2017 Abu Dhabi Grand Prix following a tough winless campaign last year, which he described as his worst season in F1. Bottas now leads the drivers’ championship for the first time in his career, holding an eight-point cushion over Hamilton. “In sport, and especially in this sport, the confidence you get from the results is a massive help,” Bottas said. “It boosts you a lot, even through the difficult times that will come every season, but you always remember the good ones and you get strength from knowing you can do something like this. “I was obviously one year without a win, so this is absolutely the win I wanted and it’s going to be a big boost for this year. Mercedes boss Toto Wolff said Bottas’ performance in Melbourne had reminded him of the dominant early days of the Finn’s career. Bottas, who described the fourth win of his career as his “best ever” race in F1, praised the hard work done by his Mercedes team over the winter. ”It means a lot - it is teamwork and nothing comes for free or by one person’s efforts,” he explained. “We’ve all worked for this result we’ve got now as a team together, over the past years and over the winter, and over the weekend. I’m very proud of every single person here in the team at this race weekend but also at the factory.